I've been so busy lately I haven't been able to cook, but I cleared some time on Monday night and decided to do something special: I made ravioli from scratch! First start with the filling. 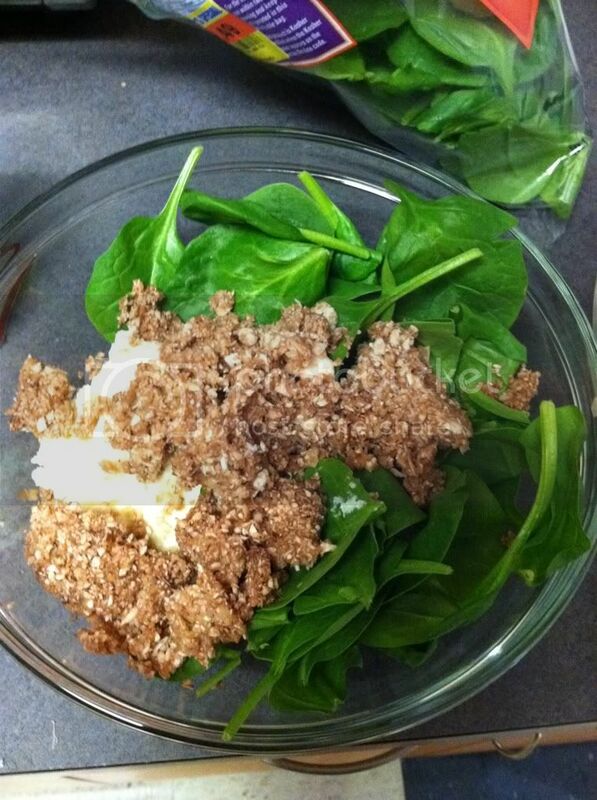 I choose to do two types--cheese and mushroom/spinach. 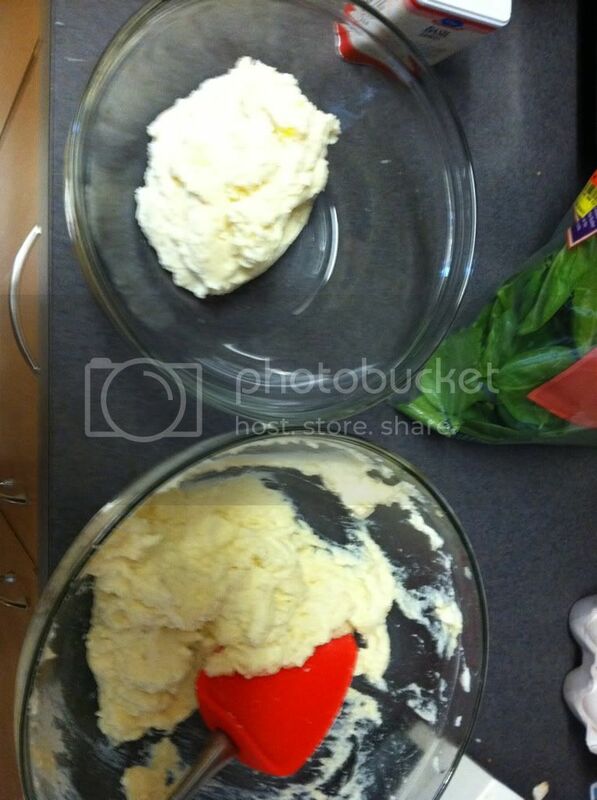 After mixing it all together, separate 1/3 of the mixture into a separate bowl. Now, for the actual pasta. Here's the deal, it's REALLY rough at first, but you need to be patient and keep working the dough until it's smooth. Mix with your hands for best results. 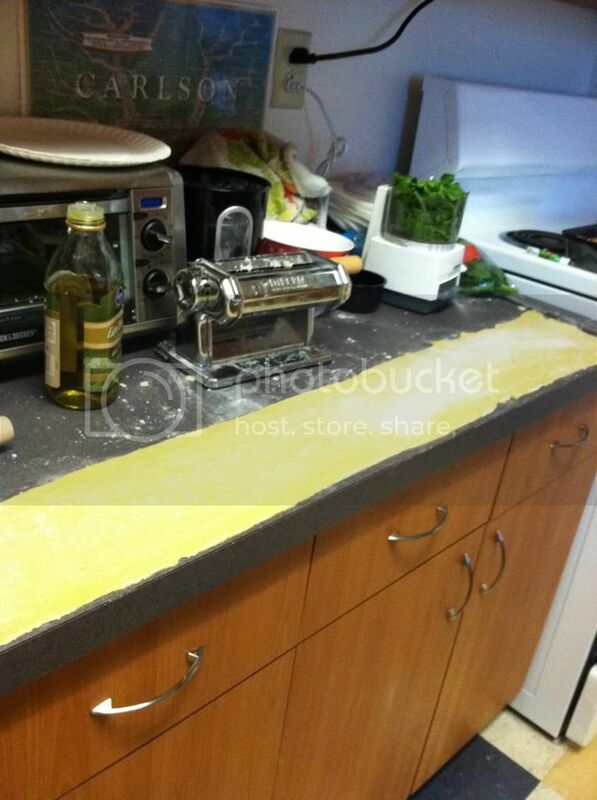 You need a machine to roll the pasta into thin strips. 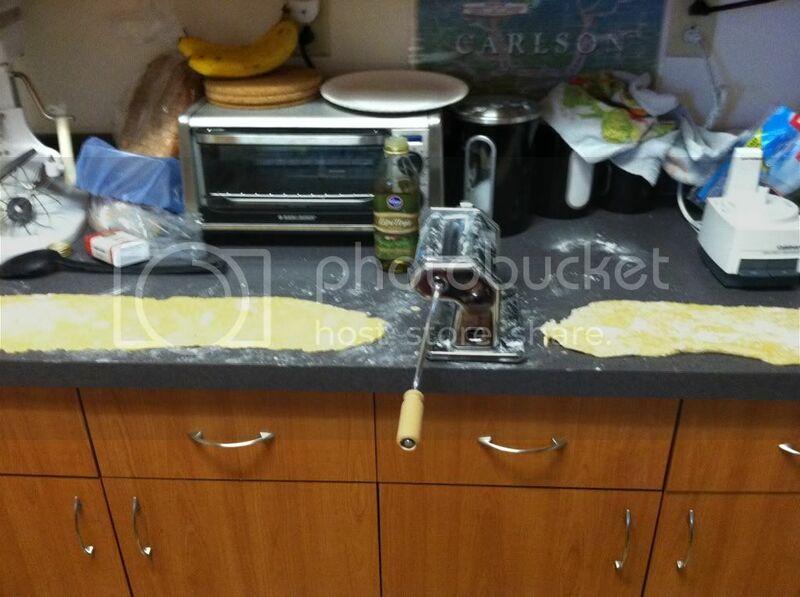 I use a manual pasta roller that has attachments for spaghetti and linguine, but you can get attachments for your Kitchen Aid or other machines. This is important: Roll the dough slowly and start on the thickest rolling setting, slowly working the dough thinner and thinner until it's at the desired thickness. 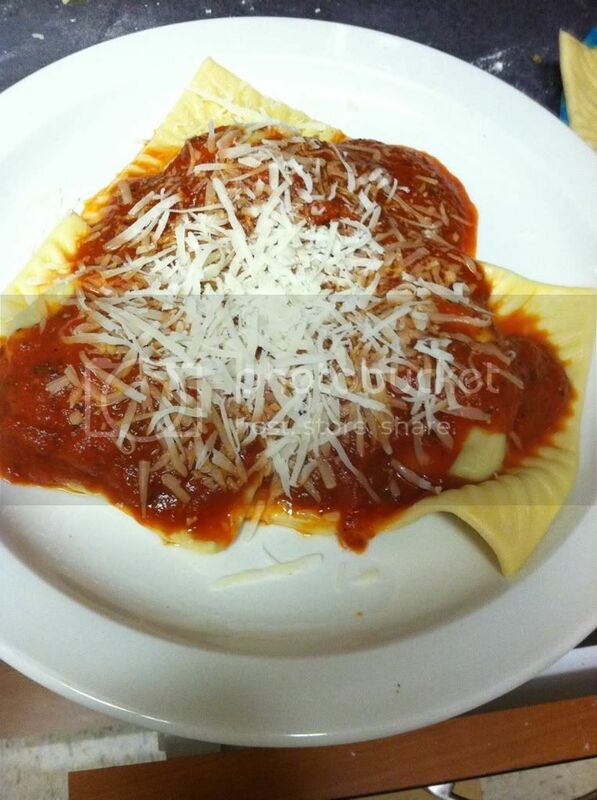 Then spoon filling onto pasta sheets, leaving about two three inches between the fillings. 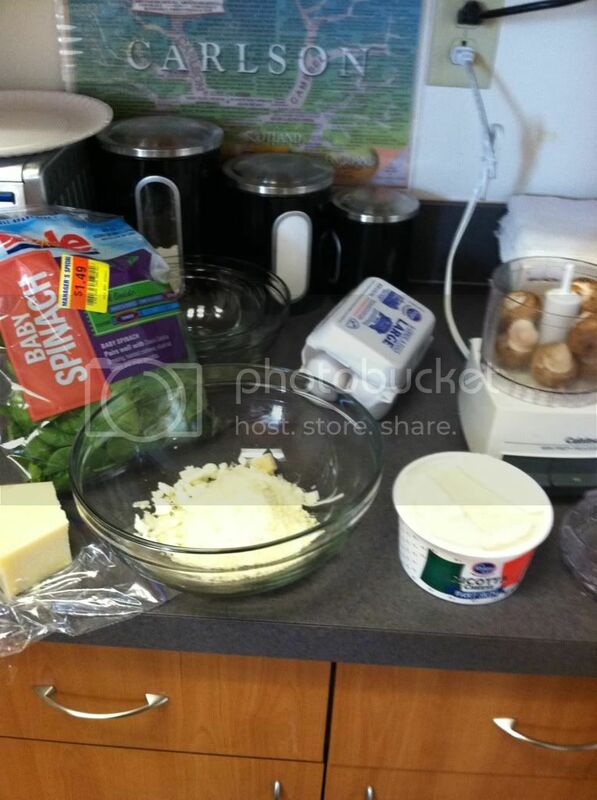 Then, simply fold the dough over the top to cover, cut with a knife to trim to the desired size and use a fork to press the top layer of pasta into the bottom one to ensure the filling doesn't come out during cooking. Cook for a few minutes until they float to the top and let cook one minute longer. This project took me about two and a half hours, but it was SO worth it! 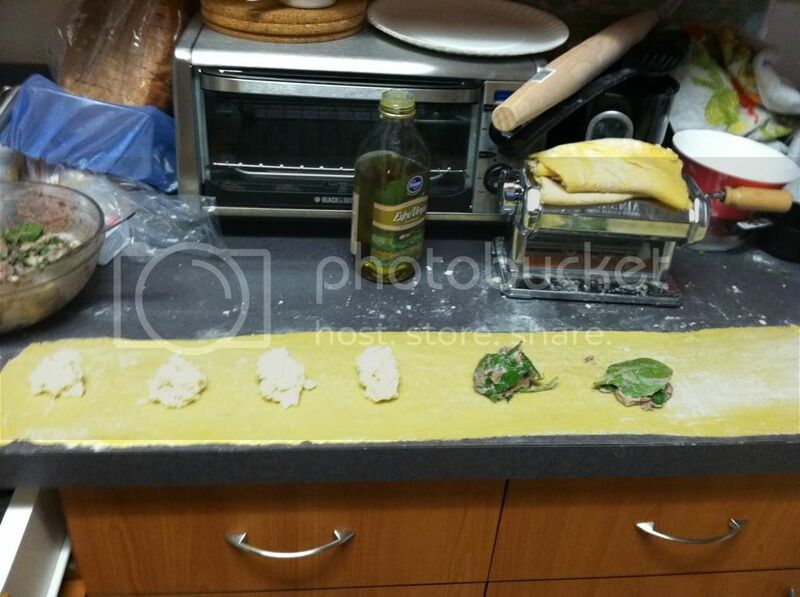 I've never tried homemade pasta but always wanted to! Yours looks delicious! 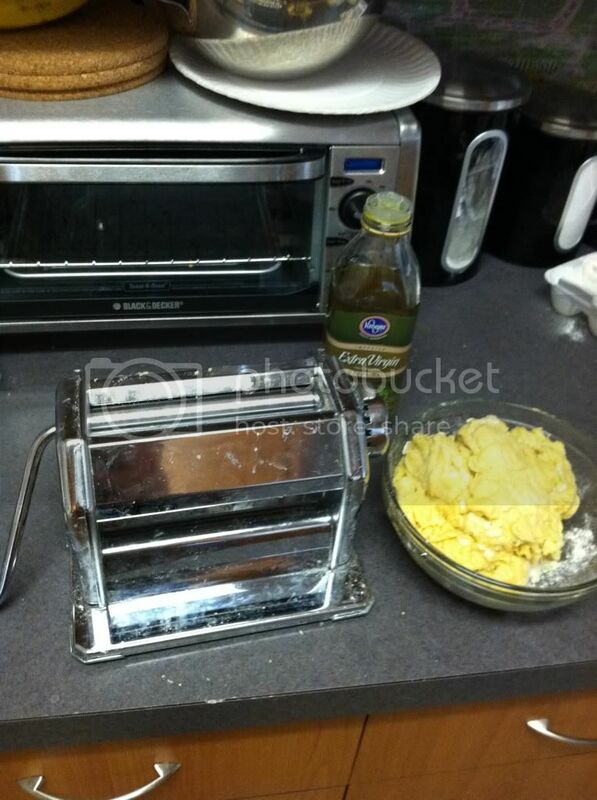 I have always loved the idea of making your own pasta from scratch, but lack one key tool - a pasta machine. As soon as I get one I'll be doing this. You've inspired me! Oh wow this looks so delicious! Would make a great family meal :) I hope you have a wonderful weekend! wow, i applaud you! 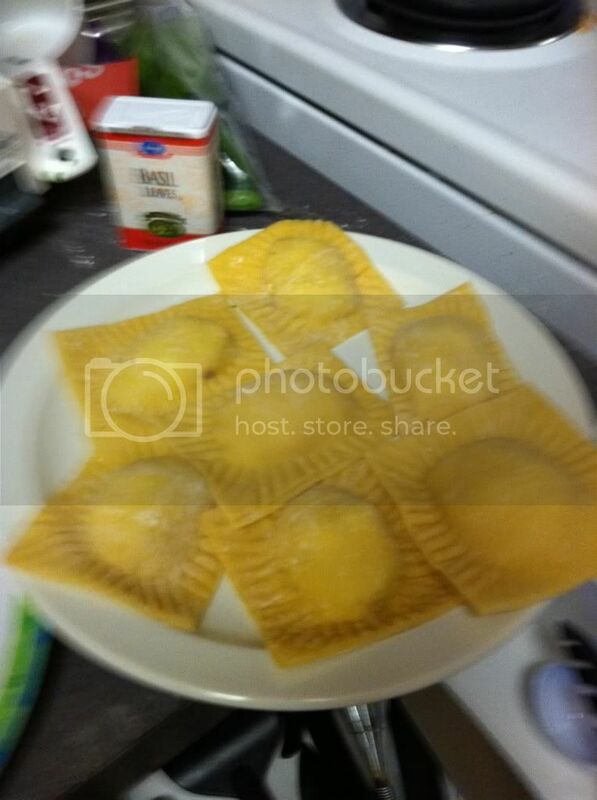 that ravioli looks uhhhh-may-zing.